Based in the West Midlands, Select Alarms provide a comprehensive security solution to all domestic and commercial customers. Their professional consultants can advise on everything from design, installation and maintenance off all types of systems including burglar alarms, cctv, access control and intruder alarm systems. They are NSI approved and all their systems comply with current regulations and are Insurance Approved. They serve the Birmingham, West Bromwich, Walsall, Wolverhampton and Stafford areas. 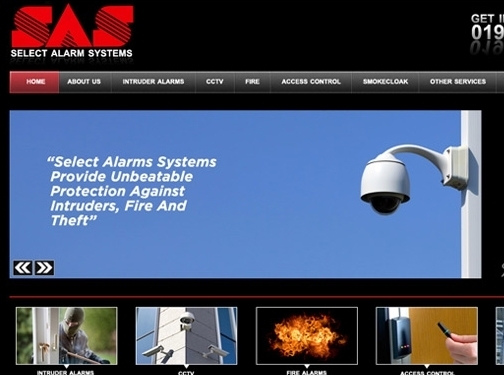 UK (West Midlands) based company offering security and safety alarms for business and residential areas. Website features details of their products and services, and full contact details at the footer of each page.